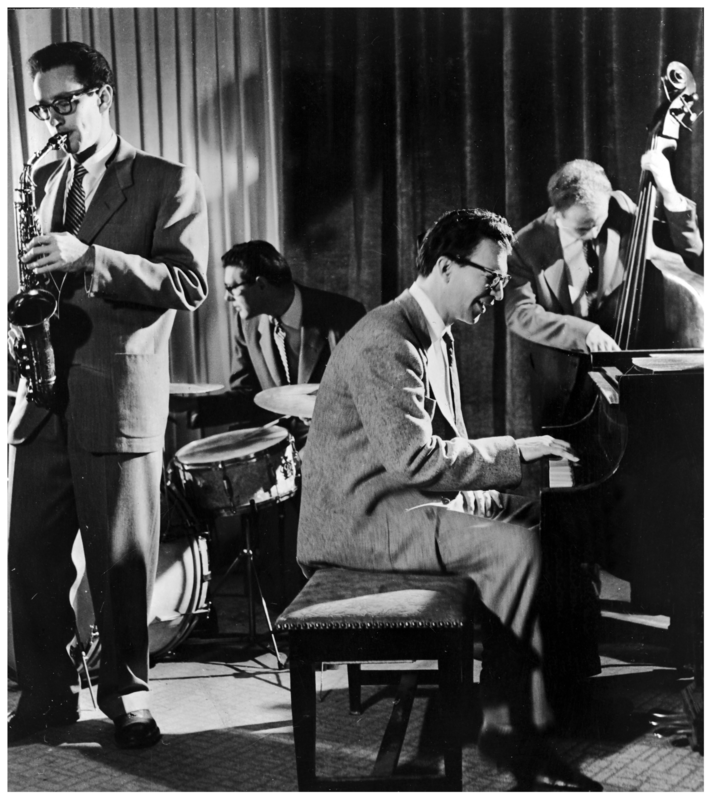 The Dave Brubeck Quartet (L-R: saxophonist Paul Desmond (1924 – 1977), drummer Joe Dodge, pianist Dave Brubeck and bassist Bob Bates) performs a modern jazz number, 1960s. Brubeck formed the quartet in 1957 and although achieved popular success in the 60s, they were never fully accepted by the jazz world. The quartet broke up in 1967.